A friend of mine told me long time ago about the song Jesus Take the Wheel by Carrie Underwood, I have to date never listened to this song, however the title of the song keeps popping into my mind the whole day. So while I type I am busy downloading the song so that I can listen to it. It is strange really how a song that I have never heard is constantly on my mind today, but I know that it is God speaking to me and this time I am not going to doubt that this is from him. Right now as I sit here and type this I know God is telling me to let him take over the driver’s seat, and I am ashamed to say this but it is something that I have realised, while I say I have surrendered my life to the Lord there are still certain aspects to it that I have not relinquished the control to God. While this whole time I have thought that I have completely surrendered my life to God, I have come to realise that I have in fact not done so. This thought brings tears to my eyes. That I still despite my efforts not completely trusted the one who created me and the one that knows best. Honestly it’s not easy when your all you have done is put your trust people and then being let down, so now having to put your trust in something that you cannot see is easier said than done. While I know that God exists he has proved that to me OVER and OVER in the past months in fact in the past week he has confirmed that so many times, sometimes his presence was so obvious that I got shivers down my spine. Why then is it so hard to surrender ALL my life to him. Why it is SO to give up the control when giving up that control is what is best for my life. So this is no ordinary post today, this is me admitting my weakness and asking for your prayers. I want God to have FULL control not partial control. ONLY then will my life be what it is meant to be. So Jesus please take this wheel from me that I’m holding onto so tightly, give me the Strength to LET IT GO!!!! Here is the chorus to the song, which I still have not listened to. But the lyrics alone are powerful. “I will love You, O Lord, my strength. 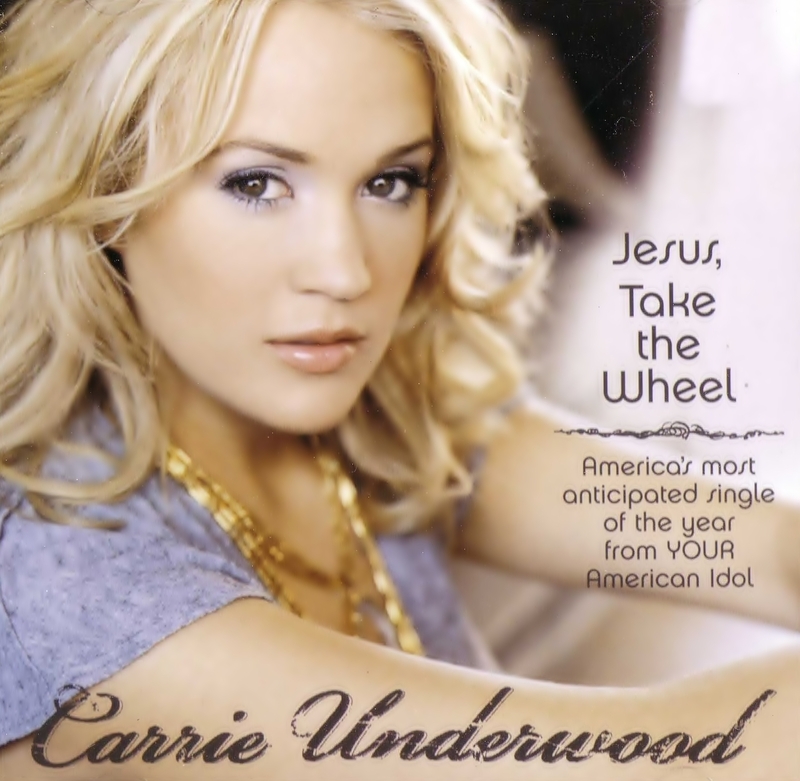 Jesus Take the Wheel – Carrie Underwood. Your dilemma is one that I am sure most Christians struggle with. I know I do! We know that letting go and letting God is the best thing we could do for ourselves, but ego keeps getting in the way and every time we release our grip a little old self gets in the way and sends out feelings of insecurity so we will grab hold again. I know that the ego can be subdued, but I am not sure it can be truly conquered as long as we are in these fleshly bodies. But I am with you! Me in control has only one possible outcome. That’s why I want Jesus in the driver’s seat! God bless, and I ill pray for you. Thank you very much John, your prayers and comments are appreciated. I was telling a friend yesterday and he said the same thing you did, that until the day we die we will struggle with this but thaas we discover something we must let it go and Let God. I just listened to Jesus Take The Wheel for the first time on YouTube. What a great song! A little sad too, since it the story of my life with Christ. There are times when Jesus is in control, but then I will begin to drift until I find myself going too fast and on that patch of ice again. I don’t want to do that any more! 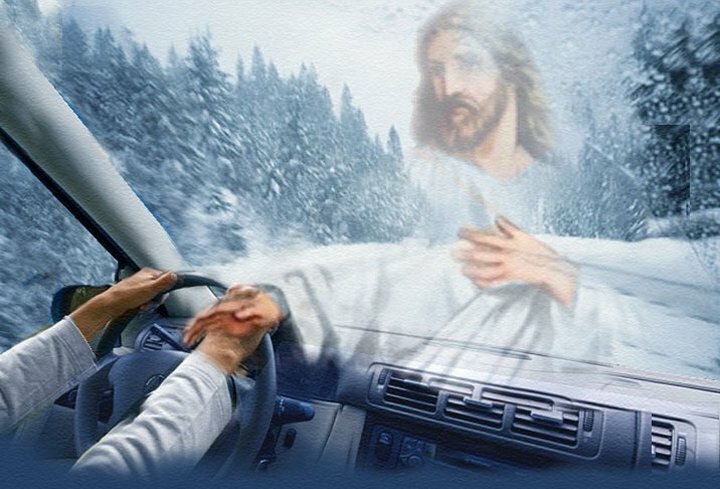 Jesus, one last time, take the wheel! It is a very sad song, I finally managed to listen to it. Thank you for your feedback and comments. Love that song. With God’s help, you will get to the exact place He wants you. Will keep you in prayer. Just dropped by to see how you were doing. I finally posted the ABC’s I know it’s way later than I mentioned. Let me know when you’ll be fasting soon! Be blessed! Hi, thank you. I was planning on doing the Daniel fast but I felt led to do a 3 day water only fast which I have done was hard but I did it. It is ok to admit weakness because God works in that. May you find the strength to let go and trust Him completely. Thank you so much, Same to you. God Bless. Finally went to buy battle field of the mind cant wait to start reading it. Hello my friend… this has been one of my favorite songs ever since it came out. My daughter and I used to sing it together quite a bit 🙂 Also, I think you’ll really enjoy “Battlefield of the Mind” which happens to be a favorite read as well. You know, I think the desire to control things (especially that which we cannot understand or do not know, out of fear) is just a natural instinct for us. Maybe God designed us with it, so we would have to CHOOSE to give it up and hand over the wheel. I think it’s about His greatest gift to us – our freewill. Be well and blessed sister!